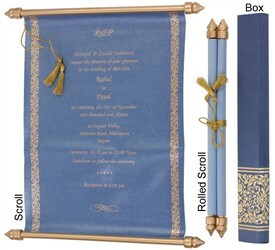 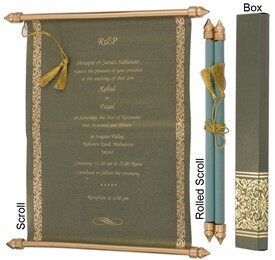 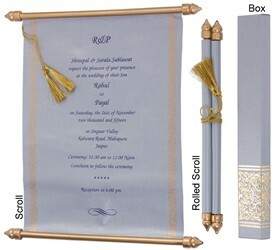 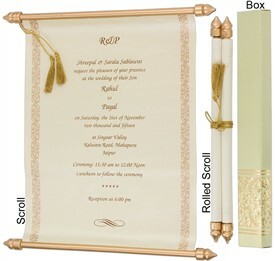 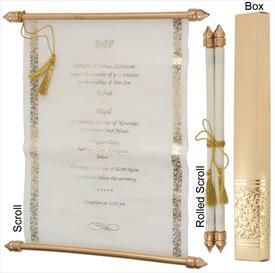 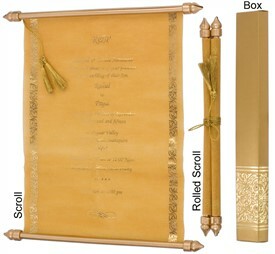 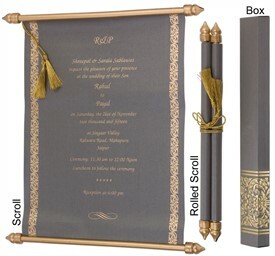 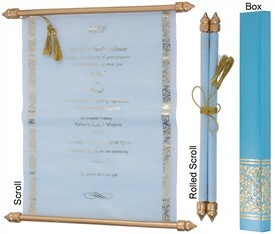 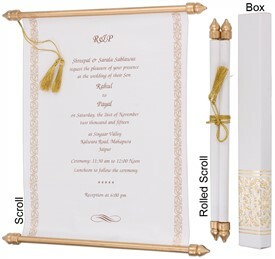 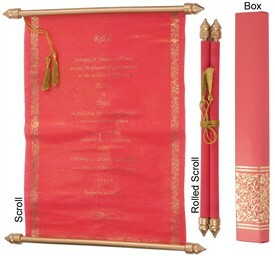 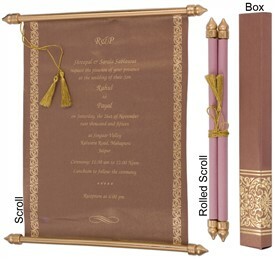 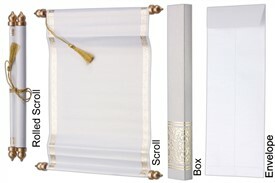 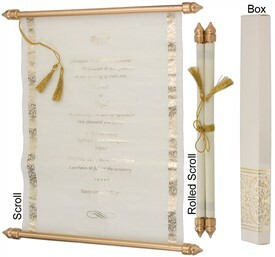 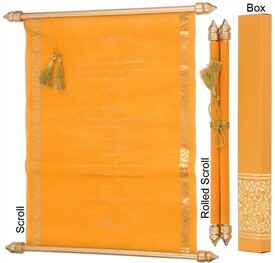 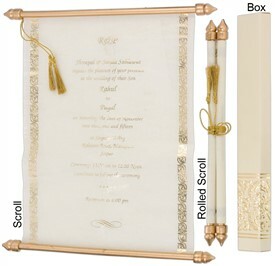 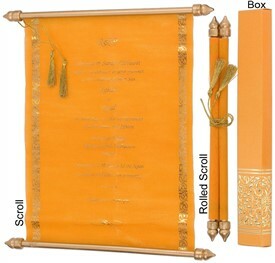 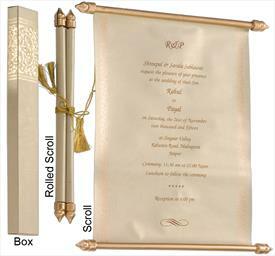 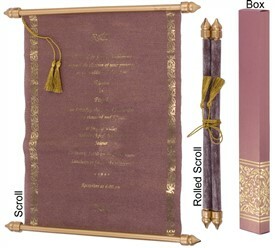 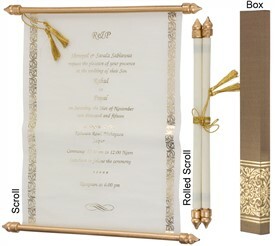 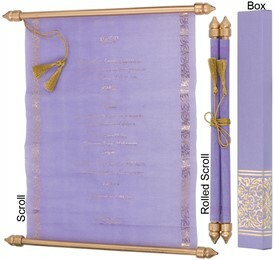 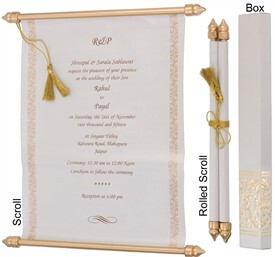 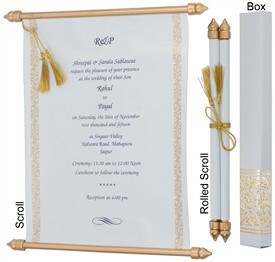 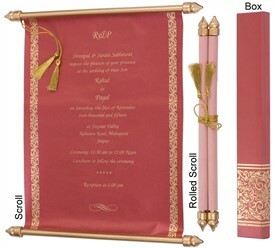 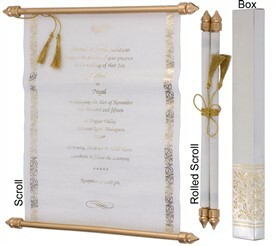 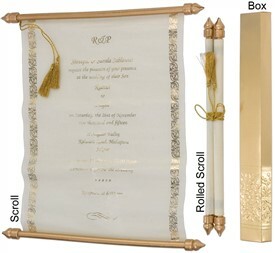 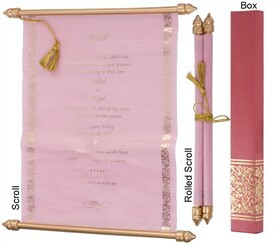 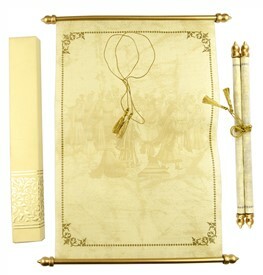 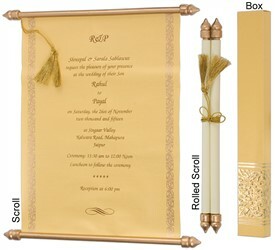 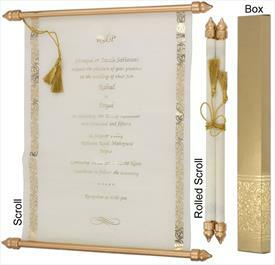 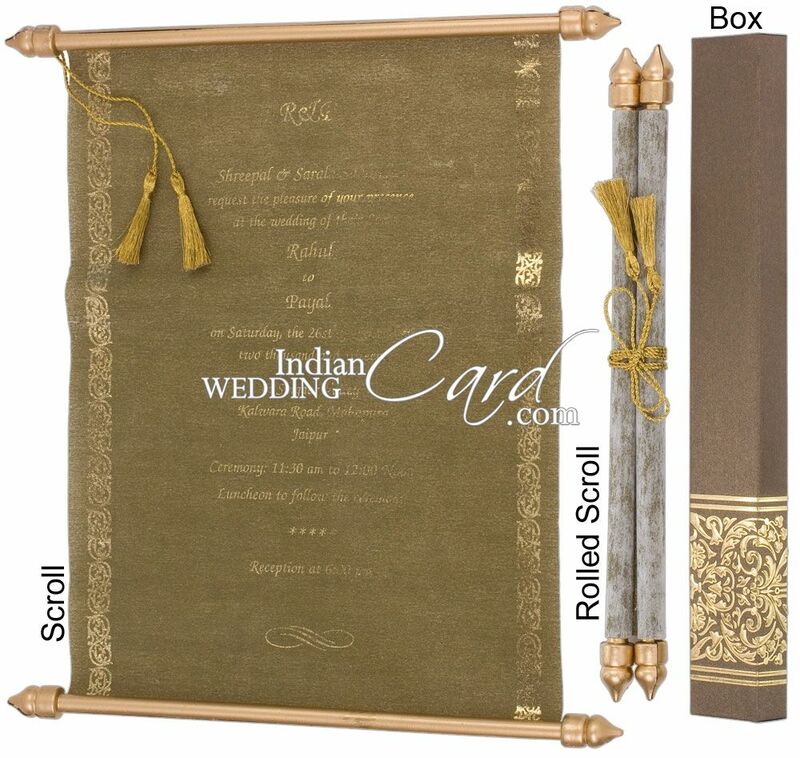 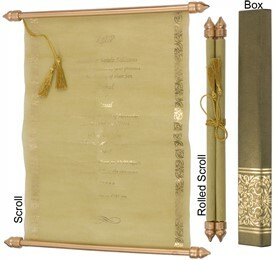 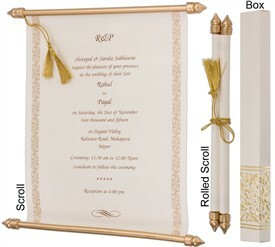 S913, Brown Color, Shimmery Finish Paper, Scroll Invitations, Jewish Invitations, Box Scrolls. 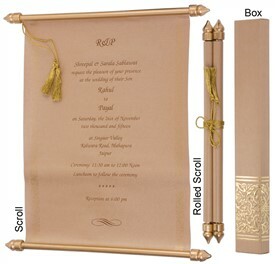 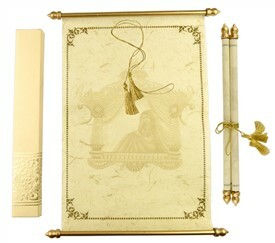 Bronze Mettalic color shimmery finish board (250gsm) for box. Bronze wooly paper (50gsm) for scroll.